The Italian fashion brand has become distinguishable by its affectionate use of paisley prints and patterns. 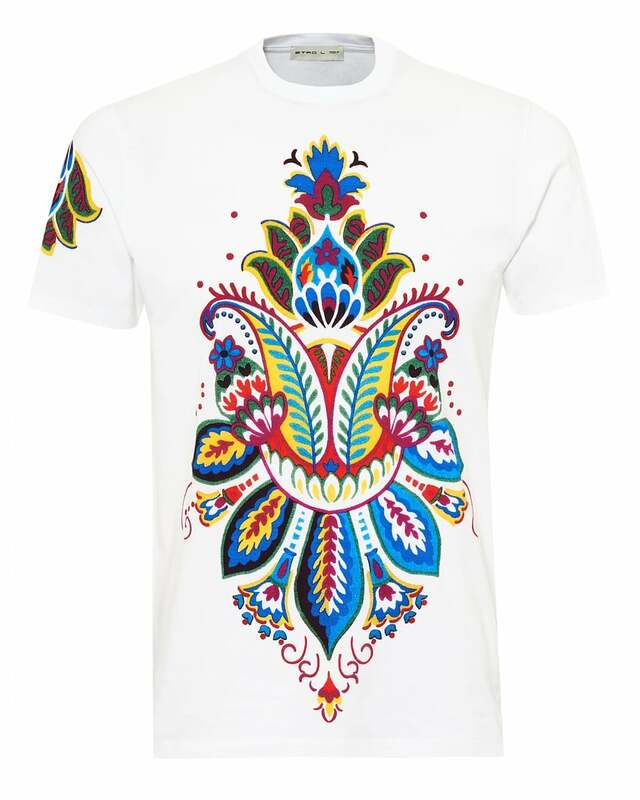 This T-shirt offers a more casual version of the print; adorning a white cotton tee are varying multicoloured paisleys across both the front and back. A statement piece that is sure to become a go-to this season.